Pregnancy Ultrasounds Orem: Come In And Get A Portrait of Your Unborn Baby! People come from all over to take advantage of the pregnancy ultrasounds we offer here in our ultrasound portrait studio, but the bulk of our customers hail from right here in Orem, Utah! We opened our 2D/3D/4D ultrasound service because we wanted to share in the wonder of life with the new parents. Click here to take a look at the many ultrasound packages we have to offer and see what we can do for you! 2D Ultrasounds – When most people think of ultrasounds, it’s the printed out 2D sonograms that come to mind. While these are most often used in a medical setting, we’re able to provide these pictures if you prefer the 2D look over 3D ultrasounds. 3D Ultrasounds – 3D sonograms give you an excellent idea of what your baby looks like, thanks to the high-definition images it can deliver. After you visit us, you’ll be able to print these or post them to social media! 4D Ultrasounds – 4D ultrasounds are videos! Get ready to pass your phone around, because you’ll want everyone to see your baby in motion! Gender Ultrasound – Interesting in finding out what color to paint the nursery? Are your friends asking what type of baby clothes to get you? Discover the gender of your child before the big day with our gender ultrasounds. Early Gender Blood Test – This is the earliest way to finding out if you are having a boy or a girl! At nine weeks we can do a simple blood draw to determine if there are any XY chromosomes in the mother’s blood, which means it’s a boy. Otherwise, it’s a girl! Heartbeat bears are a wonderful way to always keep your baby’s heartbeat close by. During your ultrasound, we’ll take a recording of the sound and place it on a special device. You can then pick a teddy bear (or choose from a number of other animals we keep on hand), and we’ll put the device inside. It’s a great gift for expecting mothers, or it makes an excellent way for siblings to feel closer to their upcoming little brother or sister. Stop By Our Ultrasound Studio! Thank you for letting us be a part of this exciting time in your life. We look forward to seeing you here in our Orem ultrasound studio. 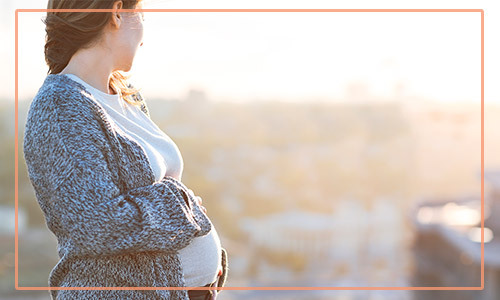 Click here to learn even more about our ultrasounds, or schedule your appointment today!